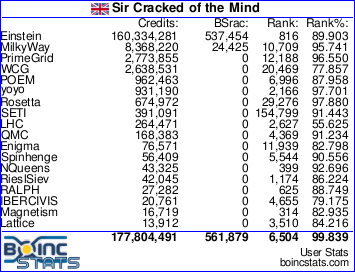 I'm about to overtake you in BOINC combined stats, in which case I'll be upwind of you. I think Sir Fart has gassed off!! ...or perhaps he broke wind too near an open flame? Or maybe it was an all-too-common but unfortunate confluence of flatulence + static build-up (whilst wearing a polyester leisure-suit)!